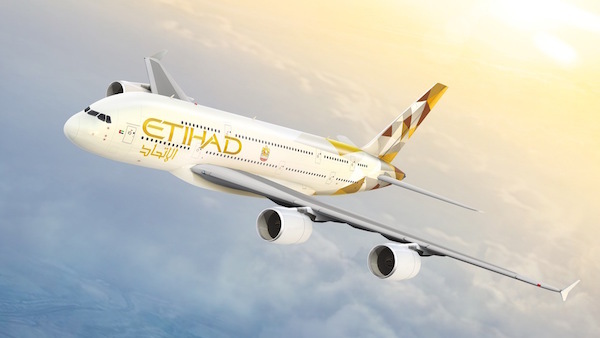 Etihad Aviation Group and TUI AG, a travel and tourism company based in Germany, confirmed they are in discussions to create a strong European leisure airline group, focused on point-to-point flying to connect key tourist markets. It is proposed to contribute the touristic operations of the Air Berlin group and the German TUIfly company, including the aircraft currently operated by TUIfly for Air Berlin under a wet-lease agreement, into a new airline group established by TUI AG and Etihad Aviation Group. This new airline group would serve a broad network of destinations from Germany, Austria and Switzerland. The leisure airline group will be supported by the expertise of Etihad Aviation Group and utilize TUI’s distribution capacity. TUI AG, Etihad Aviation Group and Air Berlin intend to finalize an in-principle agreement in due course. Any agreement entered into will be subject to all necessary corporate and regulatory approvals.